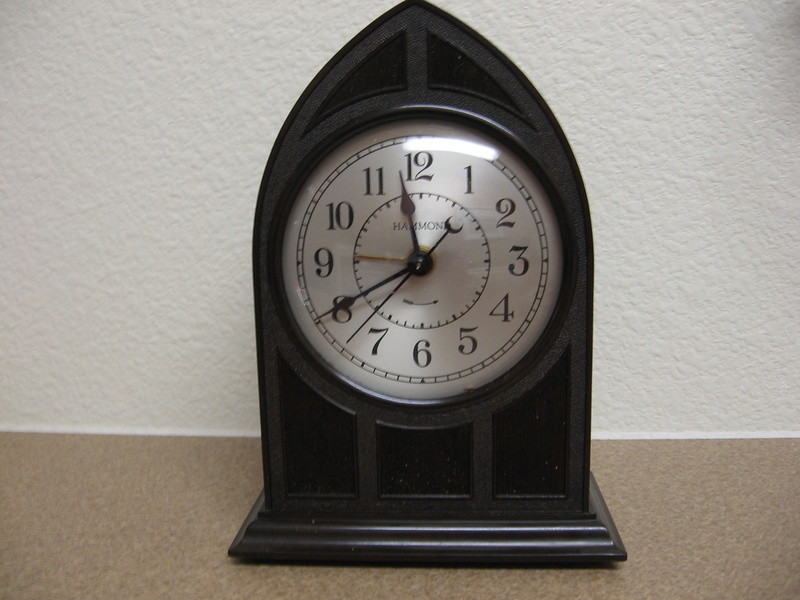 This is a classic Bakelite "Gothic Arch" style which looks like a Cathedral. This is a 'spin-to-start' clock. The name ‘spin-to-start’ reflects one of the characteristic of Hammond clocks, which need to be started by hand by spinning a small knob in the back. 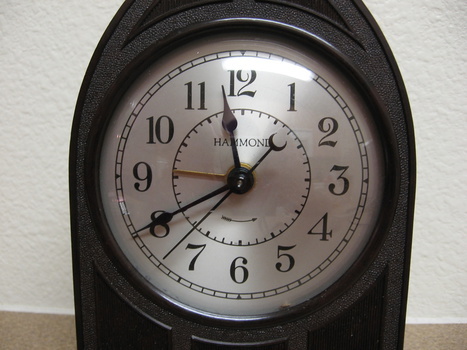 The name "Ravenswood” came after Chicago's Ravenswood Ave., site of the first Hammond Clock Co.